Many gardeners and agronomists, cattle breeders and veterinarians are familiar with the excellent and effective preparations of the manufactory “Ivan Ovsinsky”. Below we will talk about “Fulvohumate Ivan Ovsinsky” for plant growing, in particular, for intensifying the protection, cultivation and yield of cereals. Growth stimulator for plants, humic fertilizer with fulvic acids – Fulvohumat Ivan Ovsinsky is a fully balanced solution of humic and fulvic acids for plant nutrition. The systematic application of fertilizer provides for the enhancement of germination, the activation of tilling and fruit formation, the improvement of crops, the improvement of the overall quality of the fruit, and the enhancement of all useful properties. Also, the resistance of crops to unfavorable climatic factors increases. The cost of one treatment is about 50 rubles / ha. It is used together with pesticides, improves the effectiveness of active ingredients, while it removes stress and strengthens the nutrition of the plant. The average increase in cereals is 3 c/ha. 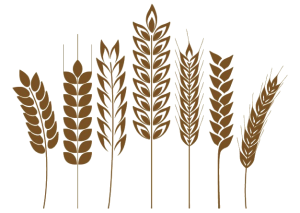 Long-term use of humic fertilizer fulvogumate has shown an increase in the yield of winter wheat by 25% in seed dressing and 2-fold treatment in vegetation, and 10% in seed dressing and single treatment for vegetation. An increase in gluten, the number of spikelet, and grain filling was noted. Joint application of the fertilizer “Fulvohumat Ivan Ovsinsky” with the herbicide gives an even better effect. The effect from application is even stronger if weather conditions are unfavorable, drought, or lack of snow cover in winter. Winter barley is treated with humic fertilizer fulvogumate in herbicide treatment, together with a pesticide in a tank mixture. Such treatment gives an increase in yield in the region of 10-30% even with a single application, and with additional treatment with fulvogumate (with fungicidal, insecticidal treatment, fertilization), the yield increase on winter barley may be 40-50% compared to the control plantings without application of potassium fulvogum. Particularly well, fulvogumate manifests itself in adverse weather conditions. Winter rye reacts positively to the treatment with fulvogumate not only by an increase in yield, but also by a strong inhibition of various root rot, fusarium, helminthosporium. Winter rye is processed in spring, in the tillering stage, as well as during pesticide treatment. Spring barley, wheat and rye respond well to the pickling of seeds with fulvogumate, with germination and growth energy averaging 45-55% higher than the control one, there was a significant tendency in reducing such diseases as septoriosis, rust and root rot. Presuming treatment of spring barley, wheat and rye is recommended together with a fungicide: 1-2 treatments in the tillering phase and the formation of a flag leaf. This treatment with fulvogumates not only increases the yield, but also increases the protein content by 1% or more. Millet reacts to fulvogumac with an increase in yield from 10% and higher, and early, by 5 – 10 days, maturation. It is recommended to presow seed dressing together with a dressing agent on the millet, and spraying the plants during the growing season at least once, or in the main phenological phase (tilling and forming a flag leaf) is better 2 or more times with an interval of at least 10-14 days. The rice responds well to the treatment with fulvogumat with a higher field germination (+ 7-15%) of seeds than without application of the preparation. Thus, pre-sowing treatment of seeds and processing of plants during vegetation is recommended. The greatest effect is obtained by double treatment, but also shows itself well by adding up to 10% pre-planting before planting. Additional 1 – 2-fold processing of vegetative plants will add up to 7% of additional yield. For example, you have 2400 hectares of sowing, you sow spring wheat, the average yield in 2016 in the Novosibirsk region was 15 c / ha of cereals, taking into account the lowest recorded increase from our drug, which was 1.7 c / ha and a maximum of 4 , 8 centners per hectare, you could profit from the sale of an additional 1.7 centners per hectare, including a quick sale of 8,000 rubles per tonne (grade 3 grain) in the area of ​​3,264,000 rubles. While your processing costs were only 120,000 rubles. The cost of a one-time treatment of 2400 hectares is 120,000 rubles. The profit is net, excluding expenses of 3 144 000 rubles. The drug is used in conjunction with the herbicide in the tank mixture (100% compatibility), so specifically sprayers on the fields to drive there is no need. If we take for comparison the use of humic stimulants on cereals, then on average the consumption of similar preparations is from 500 ml to 4 liters per hectare of planting per 1 treatment, mainly about 1.5 liters per hectare. “Fulvohumat Ivan Ovsinsky” is used in a dosage of 200 to 400 ml per hectare. There is a significant advantage in terms of logistics. Comparative trials of fulvogumate and other drugs showed higher efficacy and a wider range of application of the drug: not only in the soil (open and closed), but also on substrates, hydroponics, where fulvogumate creates conditions close to natural. The use of fulvogumate allows to significantly reduce the dosage of mineral fertilizers (by chelating properties of the drug – facilitating the delivery of active substances) by at least 10%, and thereby significantly reduce the cost of agricultural products. Fulvohumate removes stress when treated with pesticides, enhances plant immunity, increases resistance to frost and drought. In the end, the harvest will be higher, better, healthier and more environmentally friendly. * Seed treatment is carried out with the help of dressing machines. ** Feeding is carried out by spraying plants using rod, fan, knapsack sprayers. In the tank sprayer or irrigation machine pour water on 2/3 of the volume, with the agitator turned on, add the necessary amount of the drug, add water to the calculated volume, the solution is mixed and fertilized. When used in tank mixtures with pesticides, the preparation and pesticides should not be mixed in a concentrated form! The number of feedings and the rate of consumption are adjusted in each specific case, depending on the agrochemical indicators of the soil, the type of crop and the technology of cultivation. In each case, the mixed preparations should be checked for compatibility. *** Top dressing is done by watering or spraying plants using all types and irrigation systems (traditional watering, drip irrigation, irrigation, etc. ), leks, knapsack sprayers and other hand-held equipment. In the watering can (spray tank, etc.) pour water on 2/3 of the volume, add the required amount of the drug, add water to the calculated volume, the solution is mixed and fertilized. house plants – during their active growth from March to September 1 time in 10-15 days, from October to February 1 time in 1-1,5 months.